The Mission Inn Hotel & Spa offers its guests a variety of on-site activities to engage the mind and broaden social opportunities with historica signature cocktails, a AAA Four-Diamond champagne Sunday brunch, afternoon tea, and guided tours from the Mission Inn Museum. 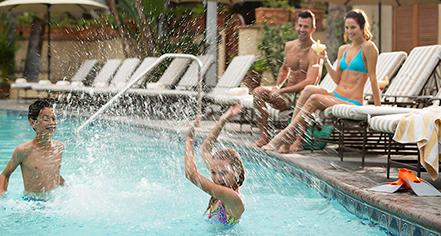 The Mission Inn Hotel & Spa also offers a diverse range of services, including the arrangement of special in-room amenities such as flowers, chocolates and wine prior to arrival. An outdoor pool and Jacuzzi® are perfect for relaxing, and visitors can also delight in spa treatments poolside, secluded in a Tuscan Villa. 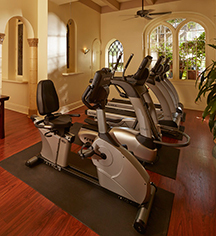 The hotel's fitness center is equipped with treadmills, bikes, elliptical machines and weight training equipment. Classes in restorative yoga and Pilates Matwork, as well as personal fitness training are also offered.